Lead your emotions to succeed at work with these indispensable tools and wisdom from the leading Nordic expert on harnessing the power of emotions. 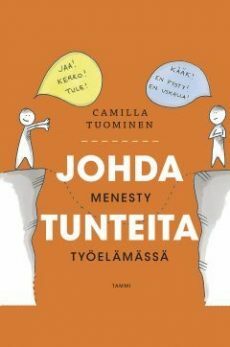 Drawing on extensive experience and research, science and anecdote, former management consultant and leading emotion coach Camilla Tuominen distills her approach to share in short, engaging lessons how we can discover our hidden abilities and flourish in the workplace in the information age. Readers will come away with a deeper understanding of this essential meta-skill and its practical application in the workplace, for now and into the future. Camilla Tuominen (b. 1975) is a renowned emotion coach, writer, illustrator and CEO & co-founder of emotiontracker.fi. She has written and illustrated two books on the subject of emotions, the latest title about leading emotions in the workplace. Her mission is to teach everyone how to understand and lead emotions, which she realised to be the core skill of the future during her years as a management consultant.